With the ARRI Follow Focus FF-5 System, a completely modular, film style follow focus is now available for digital productions. 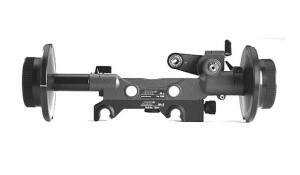 Designed specifically for lenses with a smaller diameter focus barrel, the FF-5’s longer swing arm ensures proper gear position on the focus ring and a lower gear ratio for a more exacting focus pull on smaller diameter lenses or those with compressed focus scales. The FF-5 HD or FF-5 Cine integral snap-on mechanism locks to 15mm lightweight support rods and can be adapted to work with ARRI standard 15mm or 19mm bridgeplate support rods. ARRI Follow Focus drive gears can be attached to either side of the swing arm, allowing greater mounting flexibility. 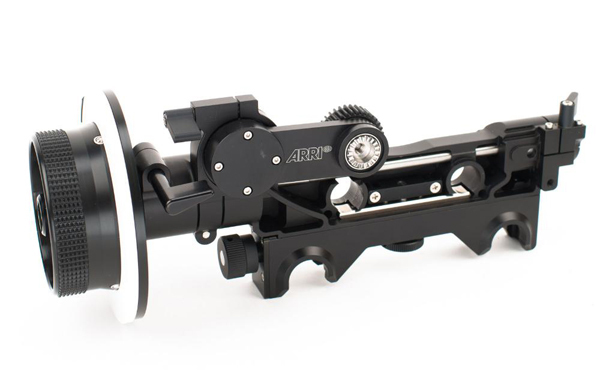 ARRI gears are made from low friction Delrin for optimal drive smoothness and use precise self-centering stainless steel couplings to eliminate runout and wear. 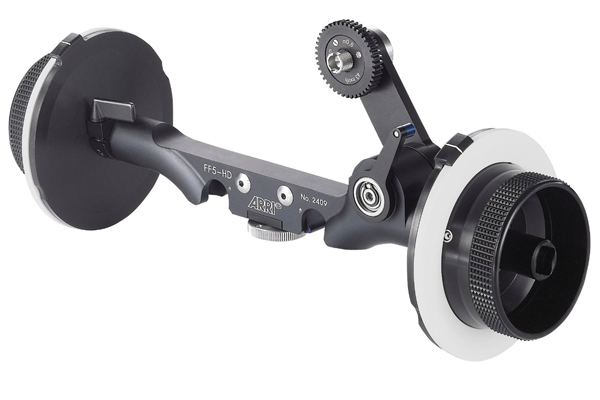 For more options, the FF-5 System is compatible with all ARRI FF-4 Follow Focus accessories. Right and left focus knobs and the FF-5’s longer body allow operation from either camera side with ENG lenses. In addition, an extension is available to clear the largest matteboxes. Short and long focus whips allow the assistant to stand farther away from the camera and a focus crank makes fast snap zooms smooth and accurate. While the new FF-4 kit contains the essentials for pulling focus on any type of production, the choice of either 15mm or 19mm rod adaptors means that you can shape the system to meet your particular requirements. Our FF-4 follow focus is an industry workhorse and has already proven itself on countless tough shoots all over the world, so you needn’t worry about it letting you down. ARRI engineering is internationally renowned and the FF-4 is one of the most robust motion picture accessories ever built. No matter what else goes wrong, your pictures will stay sharp. 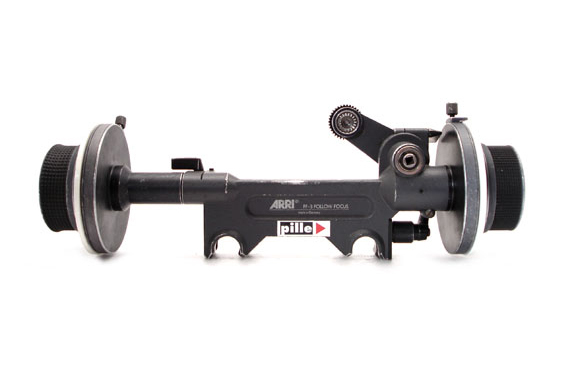 2 speed follow focus for video and film cameras. The FF3 has the dual speed function which is quite handy if you want to do a quick focus rack from close to far or vice versa.